Property 2: Easter in Campos do Jordão! Come celebrate in the mountains with the family. Property 3: There are 5 minutes from Baden Point of the most visited city of the tourist center !!! Property 9: duplex flat-hotel with sophistication and refinement in a beautiful mountain retreat !! House_em_condominio closed 1800mts Centrinho Turistico! 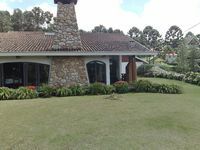 Property 14: House_em_condominio closed 1800mts Centrinho Turistico! Property 17: CHARMOSA SWITZERLAND HOME! House in condominium with stunning view, new house for up to 8 people. Property 19: House in condominium with stunning view, new house for up to 8 people. Property 22: Simple but cozy house. House cozy, romantic and charming amidst lush nature. Property 23: House cozy, romantic and charming amidst lush nature. House 5 suites in the best part of the condominium Garden Bride's Veil (Capivari)! Property 28: House 5 suites in the best part of the condominium Garden Bride's Veil (Capivari)!